And I can't see myself looking back! I am now using my spare Nokia Lumia 920 as a replacement for both my failing Classic iPod, and my TomTom. I have always liked to keep music and GPS devices separate from my phone, as using these types of services is a big drain on battery. Now though, I am using two phone devices to service all of these needs. No more need to carry around 3 separate devices! I recently upgraded my mobile phone to the Nokia Lumia 925, and I love it! I upgraded from the Nokia Lumia 920, but there were a couple of things happening with the 920 which made me want to move away from it. The first of which was that a single pixel, all the way down the screen, is stuck on a single colour. This started happening after the warranty ran out on it, so there was nothing I could do aside from an expensive repair. I opted to reset the device in order to send it to something like Mazuma mobile to get some money for it, however, the reset didn't go well and it got stuck on the spinning gears. Doh! For the last few months, the 920 has been nothing more than a paper weight on my desk, but after a Twitter conversation the other day, I was pointed at the following blog post from Pete Vickers. Now, don't get me wrong, I was skeptical. The key combination sounded like something from a Street Fighter Special Move, but I gave it a shot. After 3 attempts, the 920 rebooted, and after a period of time, I was booted into the main screen. Result! Nokia Pro Cam - quite simply amazing! With these applications in place, and my music and podcasts synced to the phone and required maps downloaded, I have a perfectly functioning iPod and TomTom replacement, taking the number of devices that I need to carry around from 2, to 3. Although I was in a unique position where I had a spare Nokia Lumia 920 to serve this purpose, there is nothing to stop you doing something similar using one of the many cheap, lower end devices, that are coming onto the market. This is quite simply amazing! When you put it together with the services that you get from both Microsoft and Nokia, this little device makes for a compelling choice. 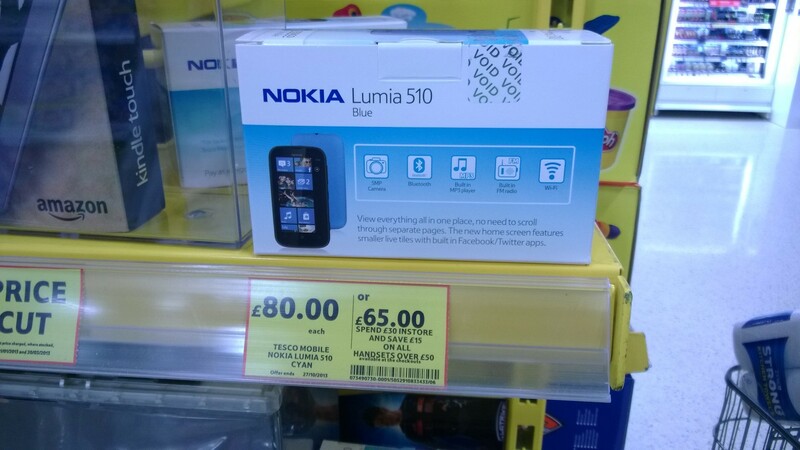 It is not hard to understand why these lower end Lumia's are the fastest selling devices at the moment. They are very affordable, and offer the end-user a lot of options. When you compare the above to something like the iPod, starting at £199, it would seem an obvious choice. The functionality and available applications is comparable. The Nokia Lumia 510 only has 4GB of hard drive space compared to the 16GB of the iPod, but if you don't need a lot of storage space,or are happy to use the free 7GB of cloud storage, or stream data from the free Nokia Music service, then this is not really a problem. You could also look to something like the Nokia Lumia 520, which has an option for an expandable micro SD card up to 64GB. As you can see, all the "normal" tiles, such as messaging, phone, email, etc, have all been removed, leaving only the tiles for the essential applications, such as navigation and music. 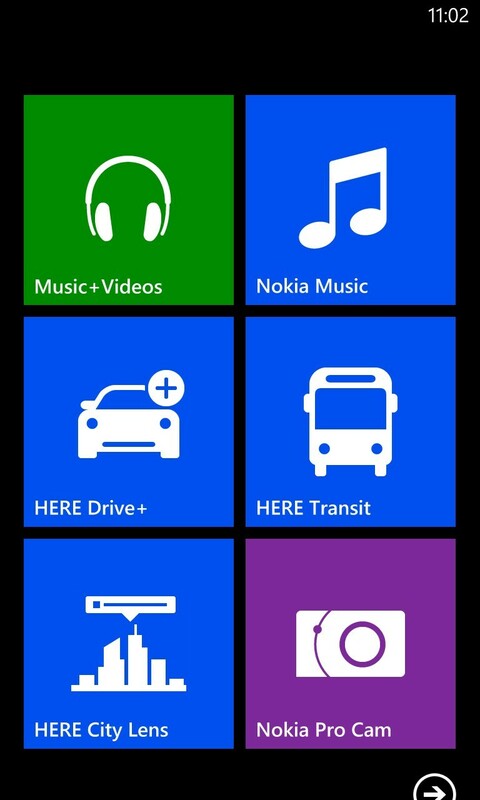 Since all the required maps for the navigation application that Nokia provide can be downloaded ahead of time using the phone's wireless connection, there is no need for a network connection while using it. In fact, I have actually went as far as to enable the phones flight mode, and will only enable the wireless connection when required.